With its seamless integration of up-to-date research, strong multicultural and cross-cultural focus, and clear, engaging narrative, Development Through the Lifespan has established itself as the market’s leading text. The dramatically revised Seventh Edition presents the newest, most relevant research and applications in the field of human development today. Featuring compelling topics, rich examples, and author Laura Berk’s signature storytelling style, this new edition is the most current and engaging text available. Available to package with Development Through the Lifespan, Seventh Edition, MyLab™ Human Development is an online homework, tutorial, and assessment program designed to work with this text to further engage students and improve learning. MyLab Human Development is ideal for courses requiring robust assessments. 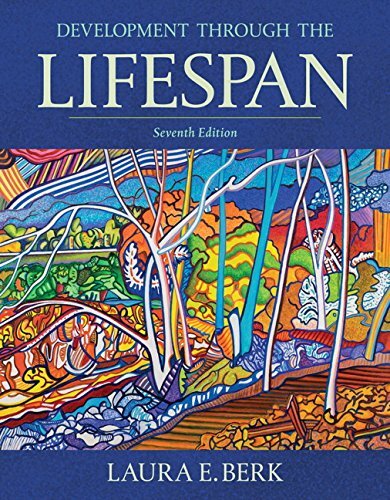 Development Through the Lifespan, Seventh Edition is also available via Revel™, an interactive digital learning environment that is a less expensive alternative to the print textbook, enabling students to read, practice, and study in one continuous experience. Revel’s new mobile app lets students access and interact with their text anywhere, anytime, on any device, giving students the flexibility of toggling between their phone, tablet, and laptop as they move through their day.